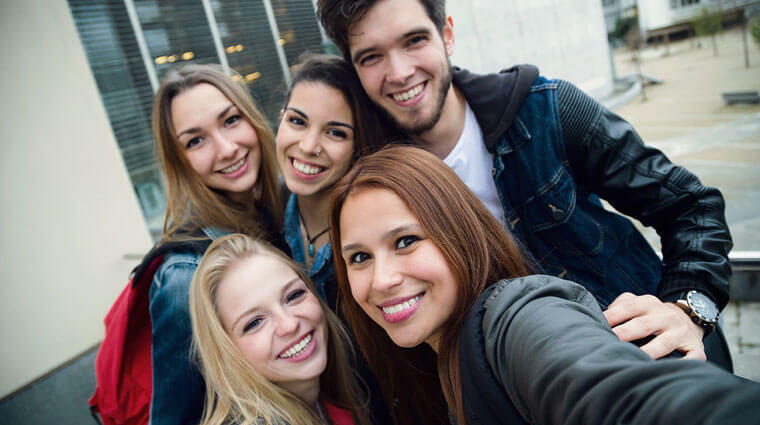 Young adults come to OPI from national and international primary treatment facilities, wilderness therapy or other therapeutic programs, or home, college, or university. Many are in need of a structured, supportive environment as they move forward and complete high school or college, get a job, establish goals and learn to persevere at them, receive vocational training, and establish their own identity and purpose in the world. Irrespective of diagnostic categories, we are an environment where people can begin to understand their diagnosis and SIMULTANEOUSLY learn to cope with it in the real world with support from their Individual Therapist/Case Manager and our team of clinicians, staff and Departments of Education, Career Development, Volunteer Services and Extra Curricular Activities. OPI is not suitable for young adults who have used intravenous heroin or other opiates or who are in Stage 4 substance abuse characterized by escalating use of alcohol, drugs or “hard drugs” accompanied by deteriorating physical condition and inability to control use. Willing to commit to finding a sense of balance in their lives and their place as a responsible member of society. Want to make a single, seamless transition into a metropolitan area. Need educational and/or tutorial support or Life Skills Training to define a career or complete educational objectives. Want to learn about various careers and fields of interests or simply enhance their quality of life. Would benefit from a structured living program that teaches independent living skills so eventually they can to eventually transition to minimal supervision while maintaining getting still receiving our support with real life experiences. Need support or specialized services to deal with social skills development or prioritization and organizational skills. Need support or specialized services to deal with continued efforts to remain drug free, cope with other addictions or diagnoses and find direction and meaning in their lives. Want to learn through real life experiences. As participants explore their own interests or define career/educational direction they often meet members of the great L.A. community from areas such as the arts, business, medicine or science who share their sense of excitement and understanding. Call to speak 866.661.3982 with our admissions department, or click HERE to submit a contact form. We’ll be in touch promptly. Get insight about living with these issues from our staff on the blog.